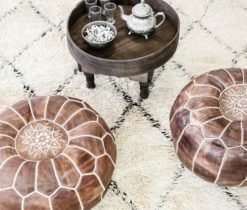 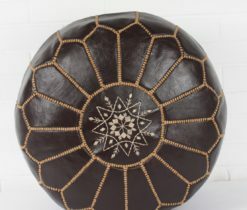 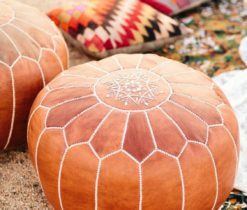 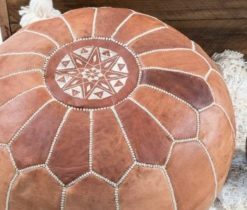 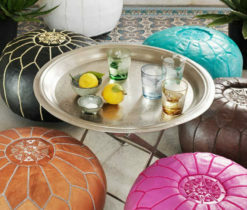 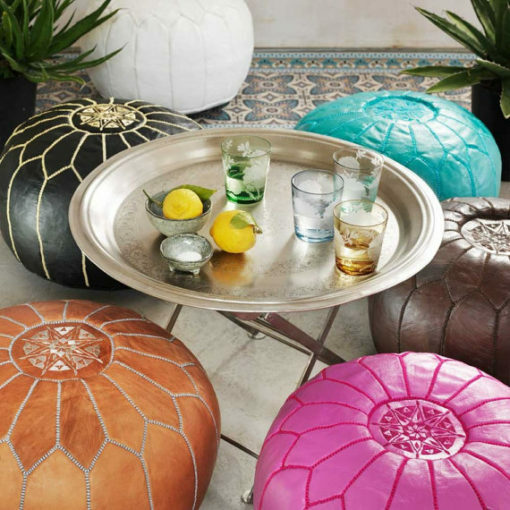 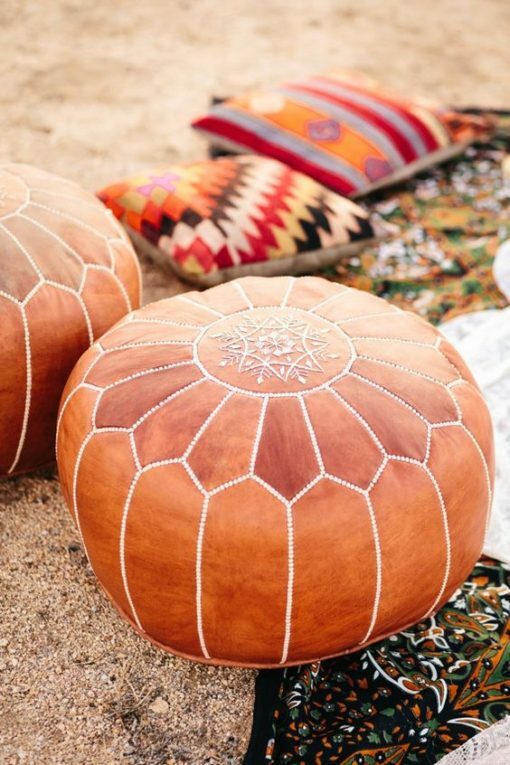 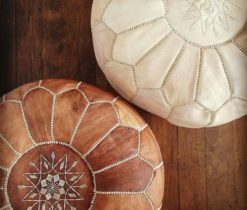 High Quality Brown Leather Moroccan Pouf made from genuine leather and hand-stitched with beautiful skill and detail. 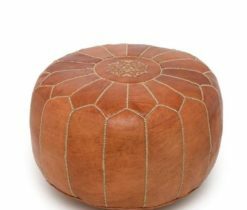 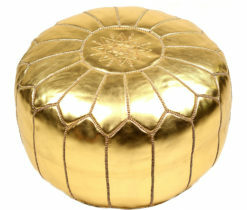 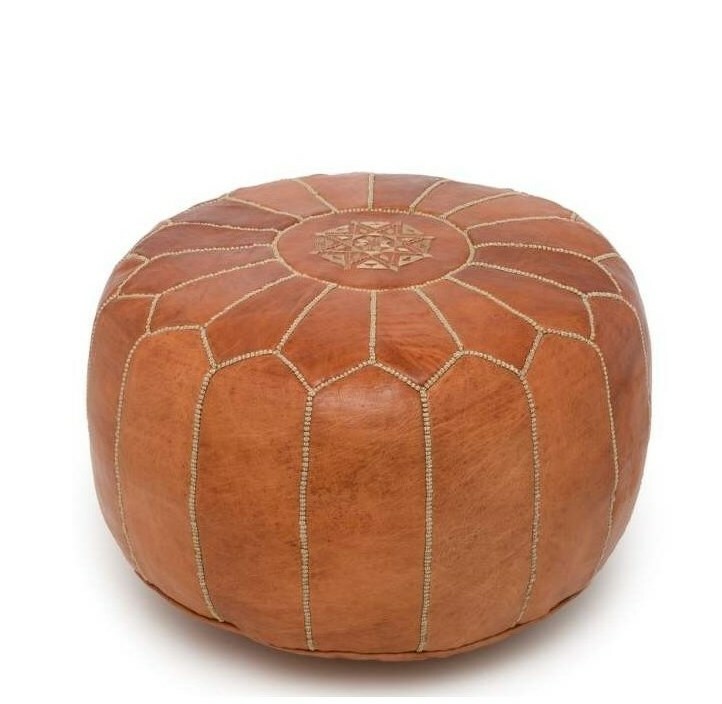 This High Quality Brown Leather Moroccan Pouf comes unstuffed, unfilled, cover only. You can use old cloths or towels to make it as firm or as soft as you want. 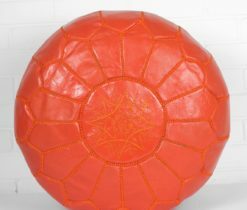 Henceforth, they also can be filled by using sponge, fiber filling, polyseter, newspapers. 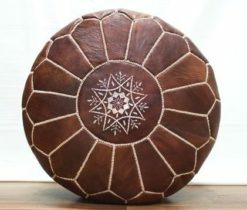 That creates a perfect shape that lasts for years to come. 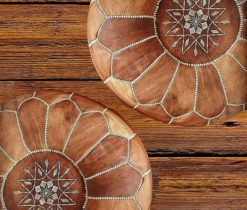 It is also an eco-friendly way to use up materials you may have stored at home in any event. 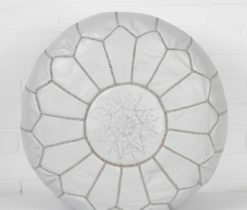 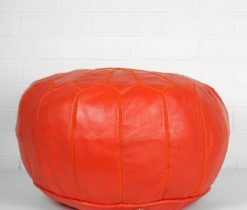 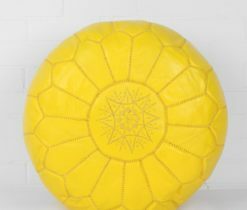 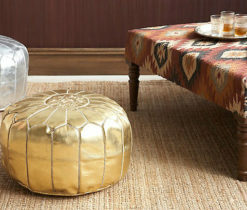 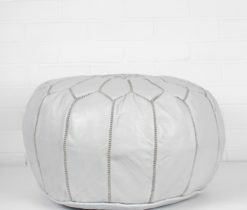 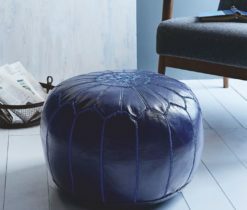 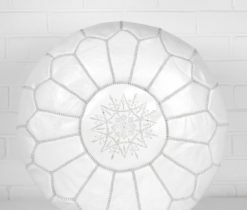 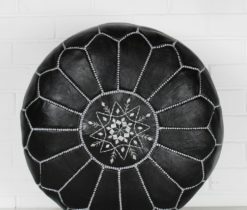 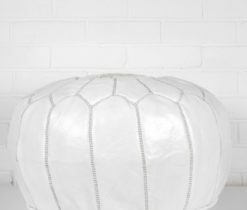 By the way, our beautiful poufs features an embroidery on the top and a zipper on the bottom. 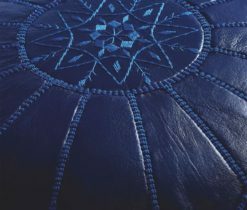 And zipper on the bottom makes the filling very easy. 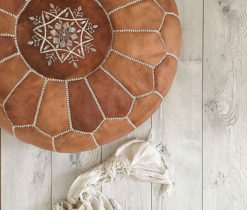 They are completely hand stitched / embroidered.